If you’ve driven around the I-1o / 1604 area within the last few months, then you’ve probably seen construction of San Antonio’s newest thrill attraction. 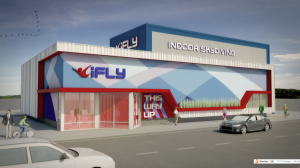 iFly opened just a couple of weeks ago and already has guests soaring flying high from adrenaline! 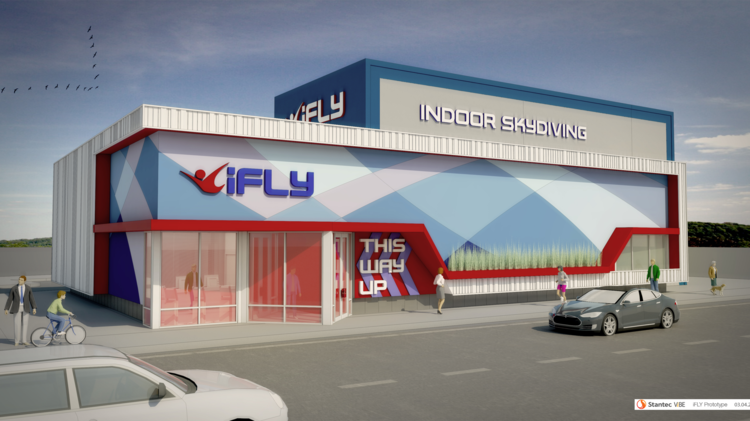 With locations all around the country, iFly San Antonio brings the thrill of skydiving indoors. Indoor skydiving is the simulation of free-falling in a vertical wind tunnel. Forget about the nerve-racking plane ride thousands of feet up in the air. You can get the same sensation without! Reservations are easy to make: either online or at the location. You are placed into a class of about 10 people where you are prepped on proper “flying” technique by your flying instructor. After the preparation, you get your gear, suit up and fly! It’s that simple (and easy). One at a time, guests enter the wind tunnel and spend one minute per jump (you get two jumps) floating on air, literally! What’s even better? The whole family can do it! The age limit is 3 years and up. You can host special events like birthday parties and corporate events, too! iFly San Antonio is a must-try for all wanting to experience what it’s like to skydive in a safe and controlled environment.